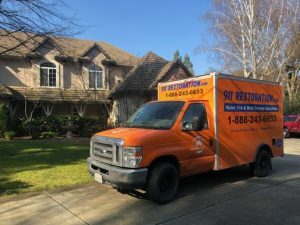 Brian, from 911 Restoration Metro East, has over 30 years of experience in disaster restoration experience, so he knows exactly how to bring you a fresh start when you need it. The ideas behind it, are that no matter what the disaster might be, we will be there for you handling everything. We truly mean everything when we say that, even your insurance claim—we will file that for you. It is import that you remain calm throughout the whole process because your well-being is truly our number one priority. If it is the middle of the night, or during a busy day, you can call us 24/7/365. Waiting for help can cause anxiety, so that is why we will get there within 45-minutes with same-day service. Call 911 Restoration Metro East. We will be there for you, providing you stability in a sea of chaos. Our blend of knowledge makes us equipped to solve any problem because complex problems require varying solutions. All that, we are ready to deliver to you. In the event of water finding its way into your home, from either a storm or flood, we have what it takes to vacuum it out. Furthermore, in a fire, water from a jet stream can stay. Stagnant water can cause even more problems such as microbial growth or a mold infestation. Resolving charred stains and smoke odor requires the same type of care as mold decontamination. Microscopic specs become lodged in your paint or wallpaper, so in order to solve it we need to hit those areas hard with odor eliminating methods. We dissolve the little bits out, making your home look and smell fresh. If you are in need of restoration services from a qualified and professional team, call us today! Brian and our disaster restoration team’s number one priority is your safety, which is why we have drafted a comprehensive plan to better prepare you for whatever may come your way. The three main disasters we would like to bring to your attention are water, fire, and sewage. Water damage commonly occurs as a result of a pipe burst, which are frequently caused by pipes freezing over. In order to help prevent this we recommend that homeowners allow warm air from a heater to circulate over pipes in the home. By keeping the temperature above freezing you will be able to allow water to continue flowing freely. Mold is a consequence of water that is left to stagnate in hard to reach areas in the home. Preventing water damage helps to prevents mold. Fires tend to be spontaneous, and to prevent them is harder than being prepared for them. Therefore, in order to keep the cost and hazard issues of fires to a minimum you should buy smoke detectors for your home. Additionally, it helps if you also have a fire extinguisher, as fighting a small fire can prevent a lot of damage. 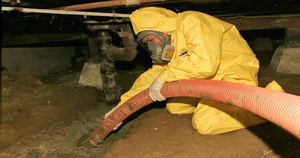 Sewage back up is dangerous for the body and home, so we recommend making sure your pipes are running smoothly. Avoid pouring hot liquid grease down the drain because it will result in a clog that can add to backups. Furthermore, avoid planting trees by water lines, as roots will dig deep into the earth in their search of moisture. If you experience anything as described above, call the disaster restoration team at 911 Restoration for expert care.